What kinds of d eadline guarantees can be provided over an unreliable medium like wireless? Inspired by classical results in real-time scheduling, we consider a model of an access point serving several flows, and provide a possibly surprising characterization of what throughput vectors feasible, as well as throughput-optimal scheduling policies that are almost static. Then we turn to some interesting recent results in multi-hop networks with end-to-end deadlines, and show that under some models of concurrency constraints, one can obtain decentralized policies that are throughput optimal. [Joint work with Rahul Singh, I-Hong Hou and Vivek Borkar]. P. R. Kumar has worked on problems in game theory, adaptive control, stochastic systems, simulated annealing, neural networks, machine learning, queueing networks, manufacturing systems, scheduling, wafer fabrication plants and information theory. His research is currently focused on energy systems, wireless networks, secure networking, automated transportation, and cyberphysical systems. 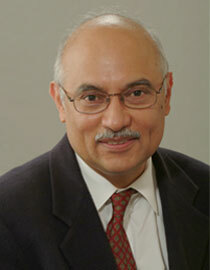 Kumar is a member of the National Academy of Engineering of the USA, and a Fellow of the World Academy of Sciences. He was awarded an honorary doctorate by ETH Zurich. He received the Outstanding Contribution Award of ACM SIGMOBILE, the IEEE Field Award for Control Systems, the Donald P. Eckman Award of the American Automatic Control Council, and the Fred W. Ellersick Prize of the IEEE Communications Society. He is an ACM Fellow and a Fellow of IEEE. He was a Guest Chair Professor and Leader of the Guest Chair Professor Group on Wireless Communication and Networking at Tsinghua University, Beijing, China. He is an Honorary Professor at IIT Hyderabad. He is a D. J. Gandhi Distinguished Visiting Professor at IIT Bombay, and a visiting Professor in the Robert Bosch Centre for Cyberphysical Systems at the Indian Institute of Science, Bangalore. He was awarded the Distinguished Alumnus Award from IIT Madras, the Alumni Achievement Award from Washington University in St. Louis, and the Daniel C. Drucker Eminent Faculty Award from the College of Engineering at the University of Illinois. He is currently a University Distinguished Professor at Texas A&M University, and holds the College of Engineering Chair in Computer Engineering the Department of Electrical and Computer Engineering. He obtained his B.Tech. from IIT Madras in 1973, and D.Sc. from Washington University in St. Louis in 1977. He previously served in the Department of Mathematics at UMBC (1977-84), and in the Department of Electrical and Computer Engineering and the Coordinated Science Lab at the Univ. of Illinois, Urbana-Champaign (1984-2011).